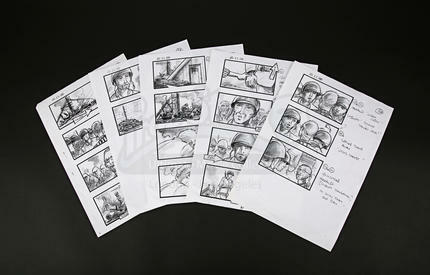 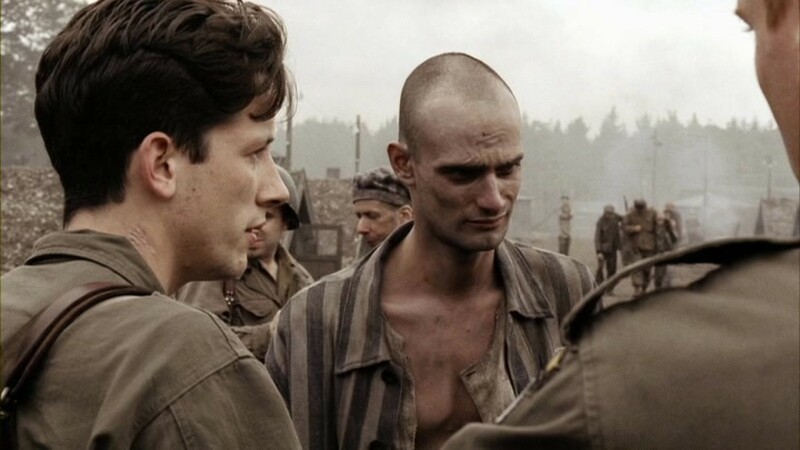 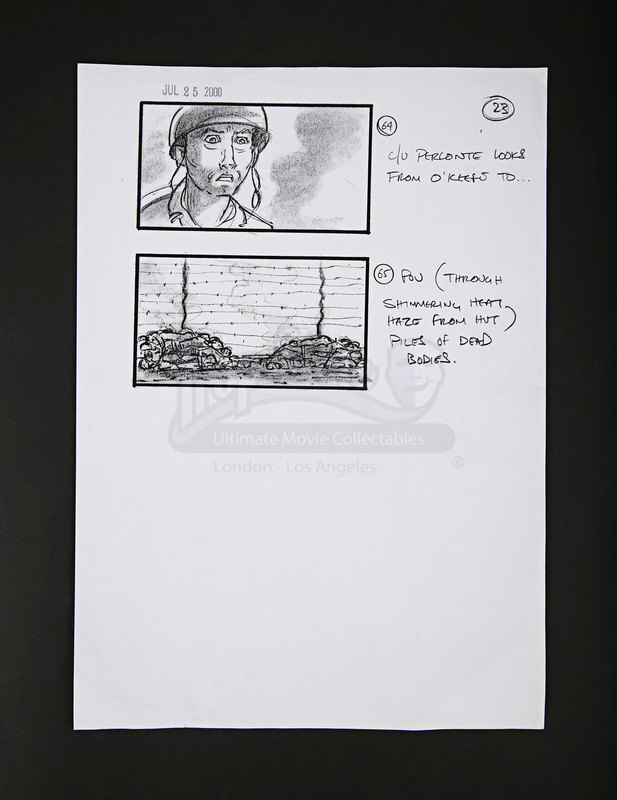 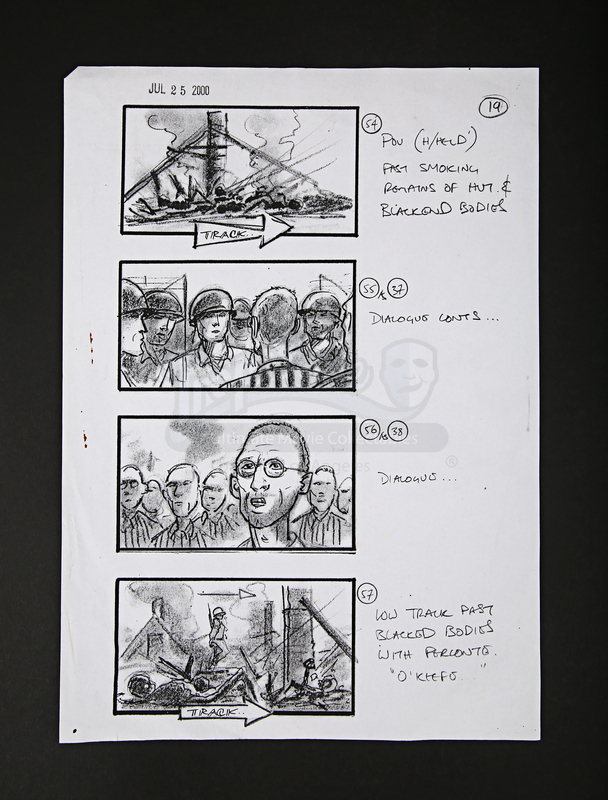 Five pages of storyboards from Stephen Spielberg’s 2001 World War II TV drama Band of Brothers. 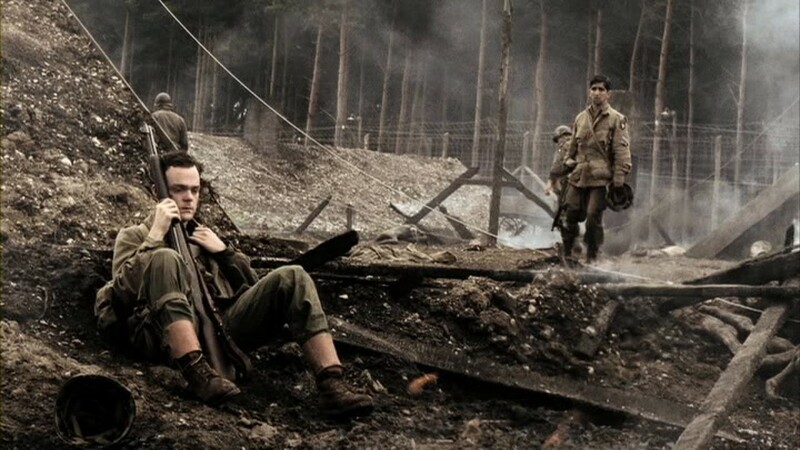 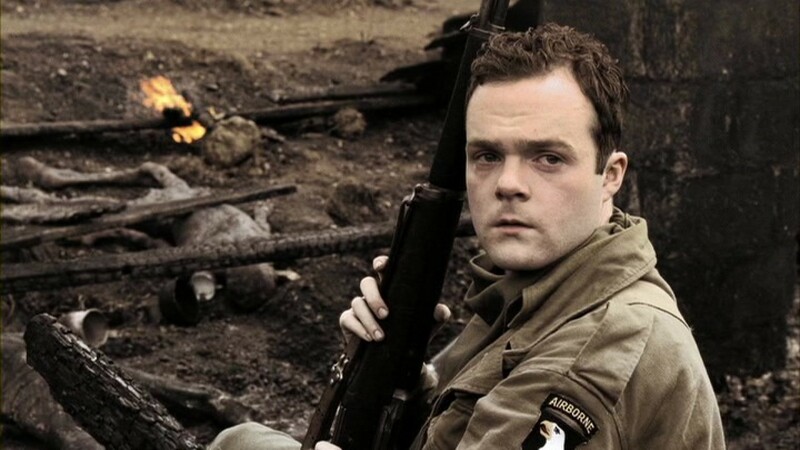 The show tells the story of Easy Company, a unit within the U.S. 101st Airborne Division, as they survive European missions from Operation Overlord through to V-J Day. 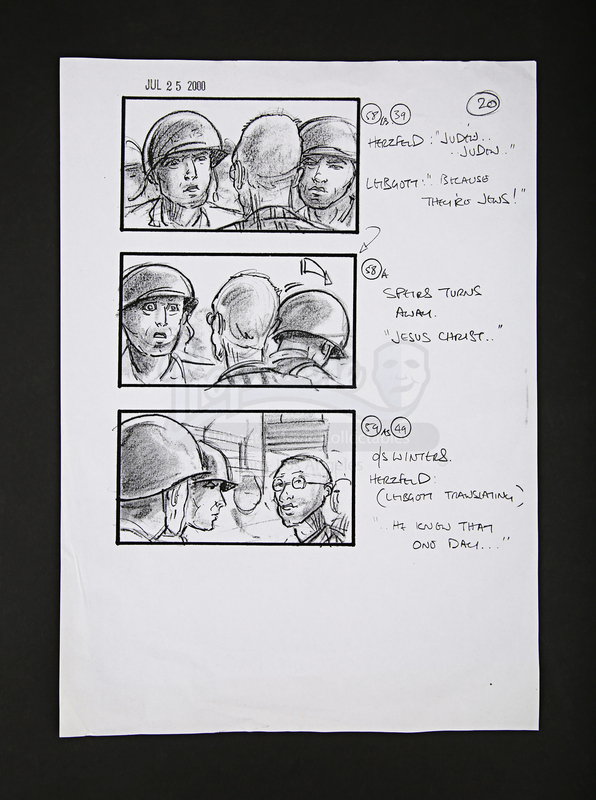 In the next few pages, the storyboards show Sergeant Perconte (James Madio) wandering around the camp, trying to find Private O’Keefe (Matt Hickey), whose happy-go-lucky attitude had irritated him earlier. 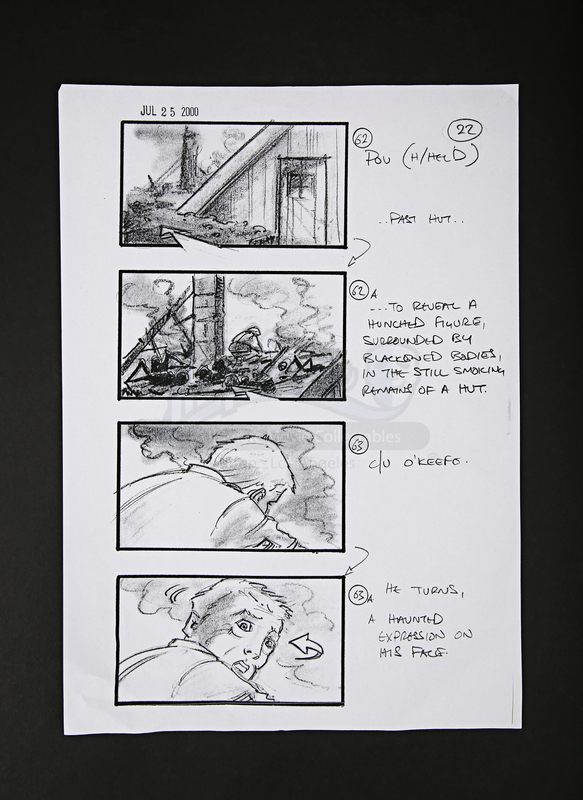 He finds O’Keefe sat, staring at burning bodies with ‘a haunted expression on his face’ as the storyboard notes. 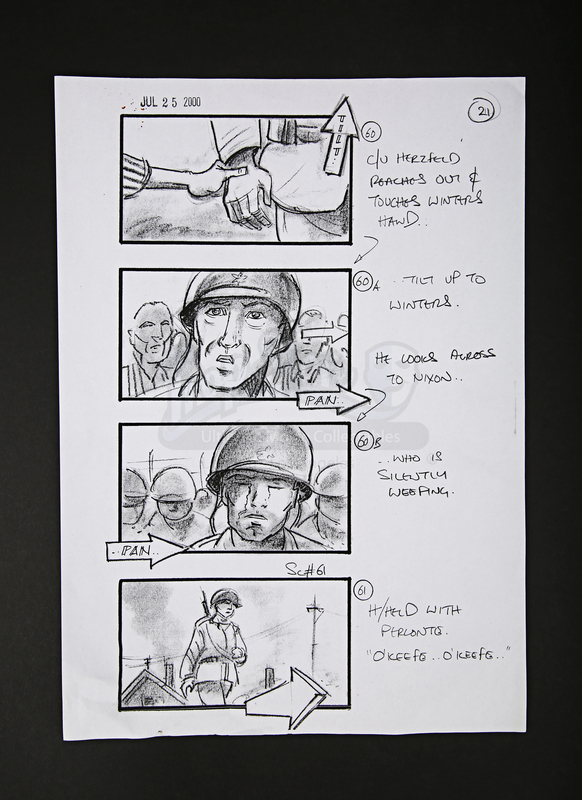 Each scene and shot is mapped out in detailed monochromatic illustrations with handwritten directions alongside. 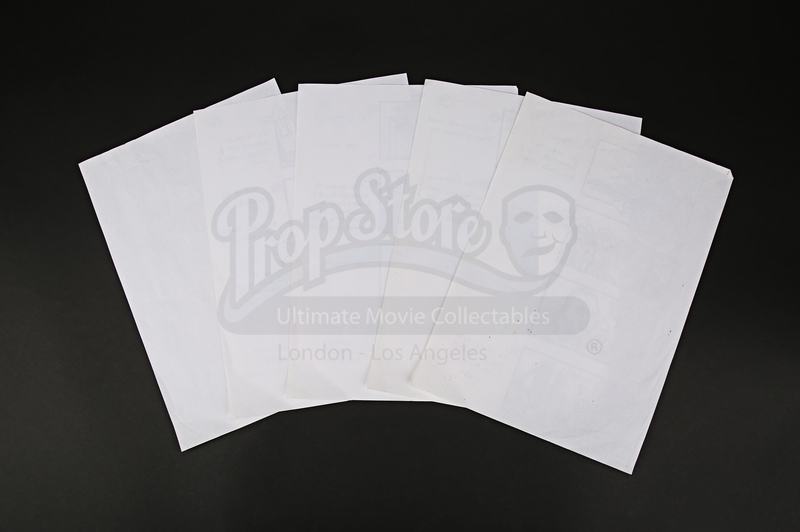 There are scene numbers handwritten throughout and a stamp at the top of each page says 'JUL 25 2000.’ These papers show signs of handling and production use but nonetheless remain in very good condition.